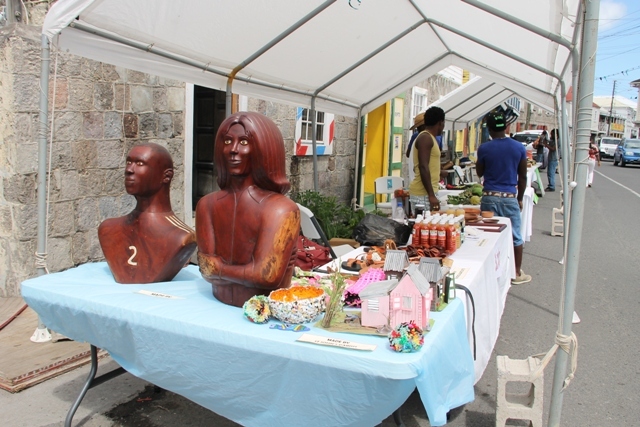 The fair featured local entrepreneurs including Isiah Parry who showcased his hand carved mahogany sculptures, Chapman’s Stone Art, Kennedy’s Hand Craft Centre, Micheal ‘Wise’ Herman displaying medicinal herbs, Agro-Processor Olvis Dyer of Dypresco Products among others. 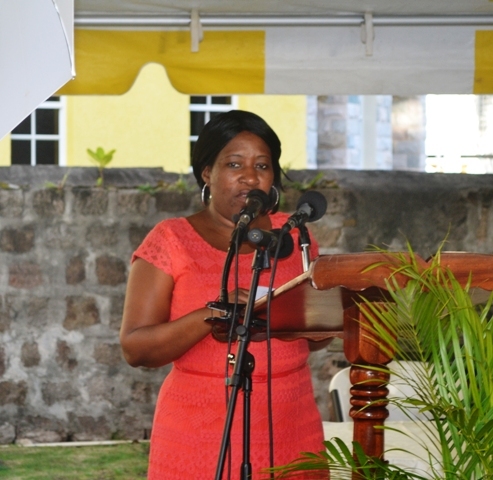 Director of Community Development in the Nevis Island Administration (NIA) Janette Maloney, told the Department of Information that apart from enlighten the public about the work of the Department, urging members of the public to appreciate their community using a holistic approach was also a highlight. 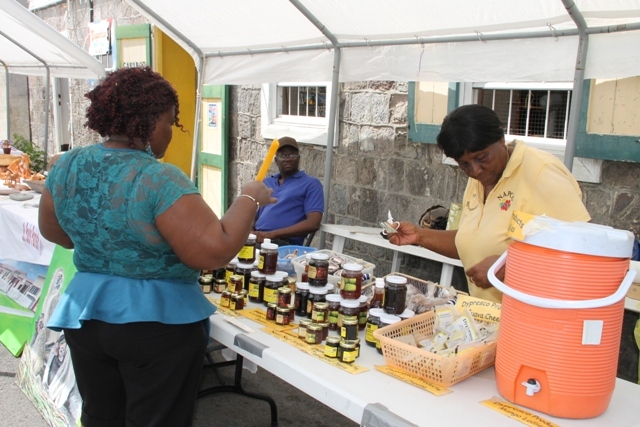 “There are persons in the community who are talented and who are also business-minded and so… we extend it to the wider community and have persons who are entrepreneurs to come and have some of their goods on display,” she said. Maloney also stated, that the initiative was mainly done with the intention of informing persons of the various activities that the department is involved in and to and motivate persons to support their respective community. “Do something good for your community…we all have to work together for the development of our community so I would like to encourage one and all to give back something to their community, do something good for your community,” she said. 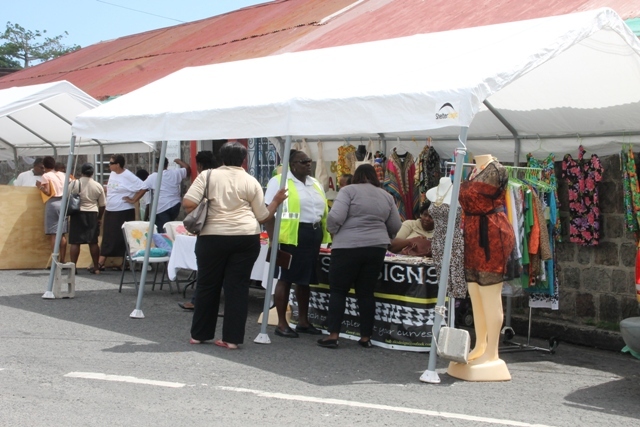 Maloney explained that the activities will continue on Tuesday May 24 with the Prospect Open Day, the Brown Hill Open Day on May 25 and the St. Paul’s Open Day at the (Charlestown Methodist Church Hall) on May 26. The other activities are a Jumble Sale on May 27, a staff Beachnic on May 29 and the Month concludes with both the Pond Hill and Bath Village Open Day on May 30. The Month of activities commenced on May 01 with a church service at the United Pentecostal Church at Marion Heights. Other activities for the month included the Fish Fiesta, a Turning Vegetables into Refines Dishes workshop, a panel discussion, a Spanish baseball match with the Spanish community and Open Days at Hanley’s Road, Barnes Ghaut, Butlers, Cotton Ground and the Corn Meal in Gingerland.